When you think of Africa, your thoughts most probably transport you to grasslands with rich wildlife, the glorious Mt Kilimanjaro and activities of extreme adventure. If you’ve thought of Africa as too exotic or beyond your physical capabilities for a vacation destination, think again! We’ve listed some of the soft adventures in East Africa that will make you want to pack your bags right now. Tip: Soft adventures are activities that do not require any kind of experience or skill and have comparatively lower risk. These are recreational activities which can be a lot more exciting than the regular sightseeing, but still maintain your personal comfort level. Expansive landscapes, awe-inspiring wildlife, ultimate isolation and the most thrilling of experiences are just a handful of things that you find in East Africa. 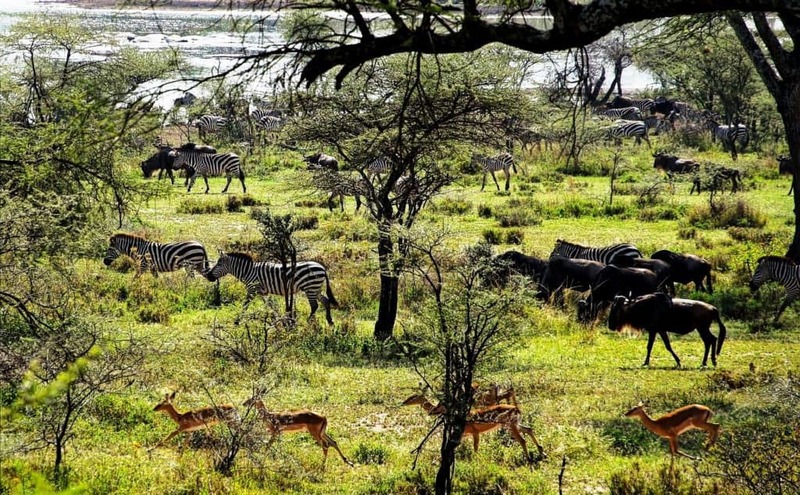 The birthplace of countless species as well as the epicenter of the nature’s wildest wonders, Africa is not just a journey into unknown lands, it is a journey into the history of man. While one might spend decades absorbing the flavor of the entire continent, there are certain binding experiences in Africa that leave the deepest of impressions on travelers, as they leave with more than they came with. Here are just a few of them. Unbeknownst to many, this is a natural treasure trove nestled in the southwest part of Uganda. Lake Bunyonyi has an unspoiled, ethereal beauty, dotted as it is with 29 islands in varied sizes and unique shapes amidst the plush green of the surrounding hills. 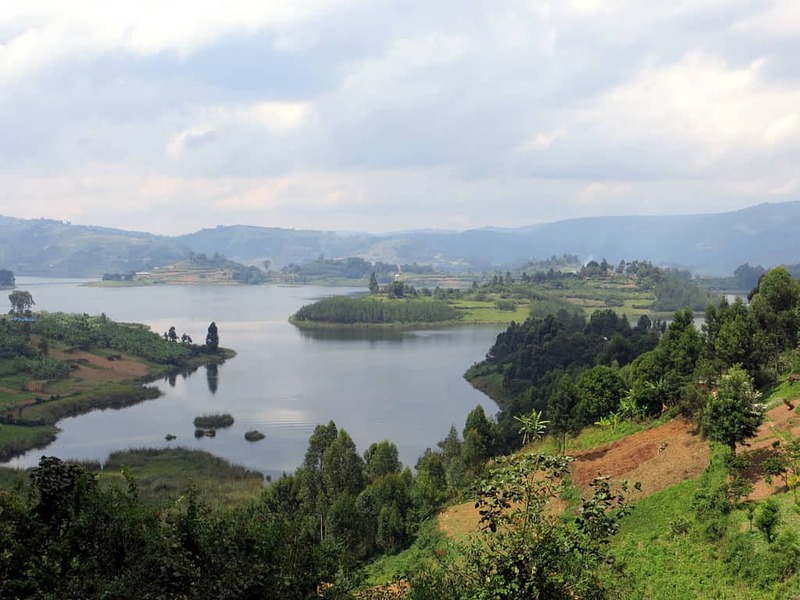 Located between the two districts of Kisoro and Kabare and close to the border of Rwanda, Lake Bunyonyi is Africa’s second deepest freshwater lake. With depths varying between 144 ft to 2952 ft, swimming in this lake is truly a thrilling experience for swimmers and boaters alike. Lake Bunyonyi is 16 miles long and 4.3 miles wide. It sprang to life as an aftermath of a volcanic eruption that occurred 8000 million years ago. Make sure you don’t miss this spot on your next Uganda safari. One of the most striking experiences that one can be involved in when in Africa is the great migration. A circular grazing path populated by over a million wildebeest and hundreds of thousands of zebras makes for one of the most jaw dropping natural acts that you would ever witness, as the endless Serengeti plains tremble under the unison of these majestic creatures. Expansive safari expeditions with accommodations of immense luxury await you in the middle of the vast plains, as you witness the “Big Five” in their habitat – Lion, Elephant, Leopard, Rhinoceros and Cape buffalo. If the majestic beauty of these animals does not suffice, the scenic landscapes and rejuvenating sunrises will provide the perfect backdrop on this humbling journey. 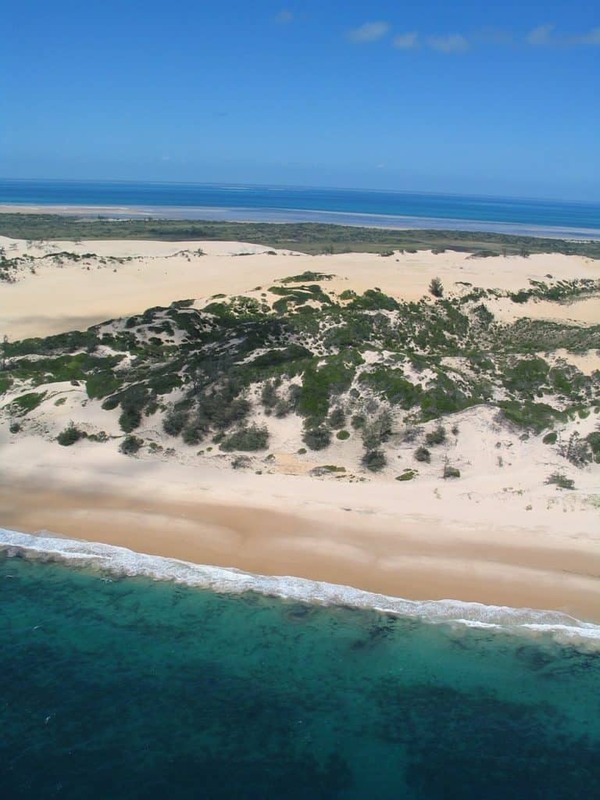 Nestled quite literally in the middle of nowhere, the Bazaruto archipelago is a cluster of 15 islands off the coast of Mozambique, and makes the perfect setting to unwind while witnessing relatively unseen beauty. Dozens of bird species like flamingoes and fish eagles, as well as dolphins, crocodiles and elusive dugongs will appear out of the clear waters as you sit at a serene white sand beach with no other noise to disturb you. If there was ever the blend of remote serenity, luxury and natural beauty for the traveller, the Bazaruto Archipelago would be on the top of the menu. The Azura Retreats Lodge at Benguerra Island, set amid a Marine national park, has won quite a few awards for luxury and location, allowing for some of clearest and most unmatched whale and dugong viewings! If you are the type who is not satiated with the adventure in the great migration and lion-watching, transport yourself to a little plunge pool right at the edge of the world’s largest waterfalls – the Victoria Falls. 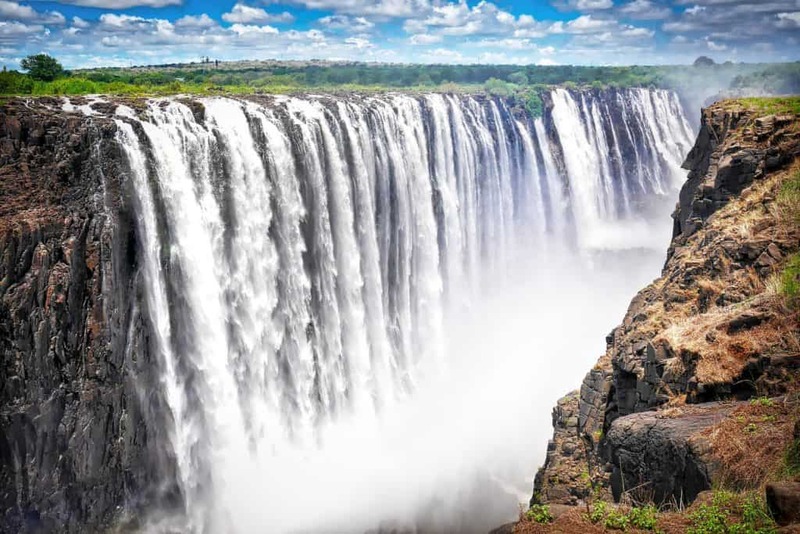 Mosi-oa-Tunya (“The Smoke That Thunders) on the Zambezi river forms one of the most monumental water spectacles in the world as more than 10,000 cubic meters of water cascades down 108 meters every second! When the water of the Zambezi recedes marginally, it is possible to walk along the lip of the falls and plunge into one of the many rock pools formed through erosion over thousands of years. While it is impossible to achieve this feat when the Zambezi is raging in full flow, the view from the edge of the falls makes for one of the most exhilarating experiences one could imagine. Apart from the fact that you might not be able to hear yourself think, the experience of plunging along the edge of the world’s highest waterfall will certainly raise your heart rate and stay with you forever. If a wildlife safari foot is too tame, there is always an option for you to court excitement by tracking gorillas. 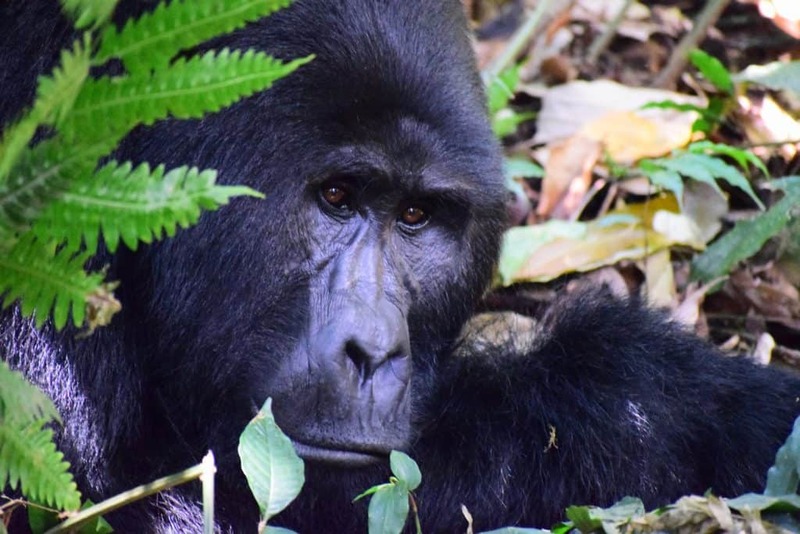 If primate tracking and viewing activities are on your bucket list, apply to the Uganda Wildlife Authority in Kampala and pre-book your permit. The Bwindi Impenetrable Forest is home to roughly half the world’s mountain gorillas population and is divided into four zones for tracking gorillas. It’s the oldest site for tracking gorillas and is sure to provide you with the most exciting chase ever! Permits will have to be taken beforehand as a maximum of 8 people are allowed to track one gorilla group per day. 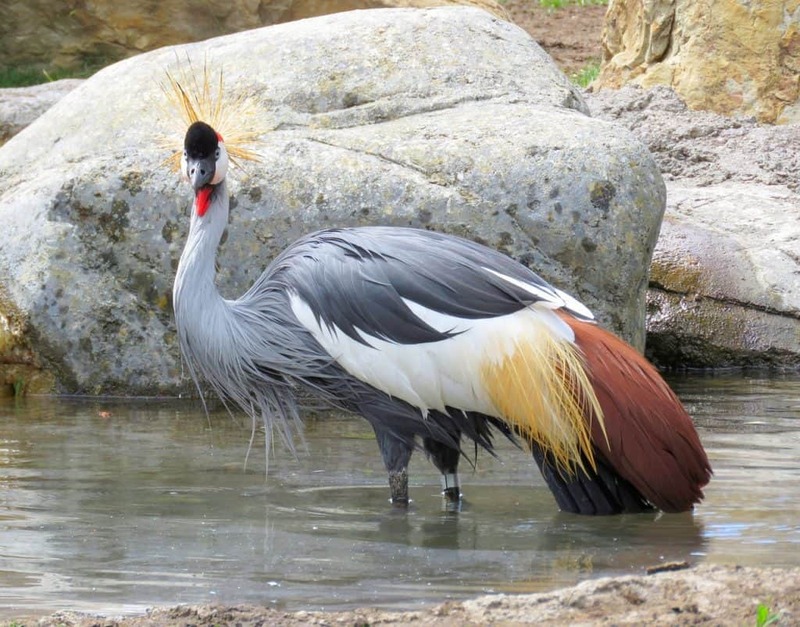 Kibale said to be the smallest and most scenic national park in Uganda and is a part of the Parc de Virungas comprised of a chain of nine active and dormant volcanoes. This chain runs long the borders of Uganda, Rwanda and Congo and sometimes, the gorillas might cross the political boundaries too (exciting right?). 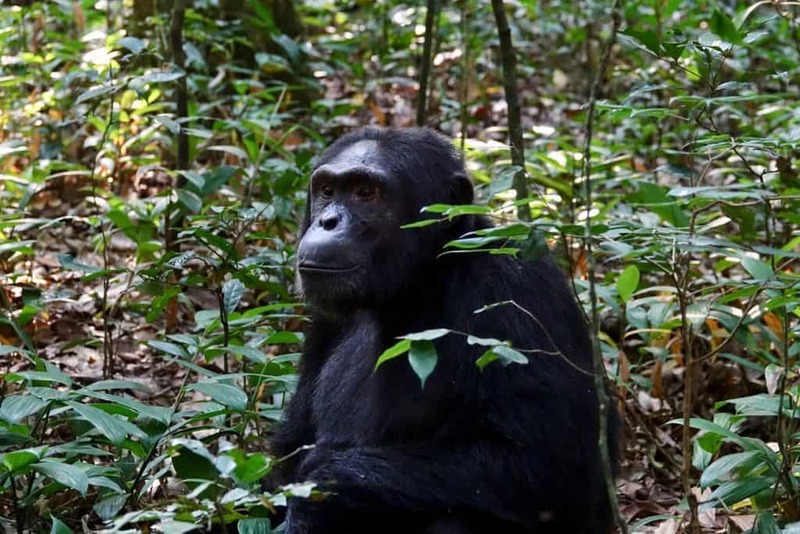 As if tracking gorillas wasn’t exciting enough, you can now track chimpanzees too! Kibale National Park is most famous for its wide range of primates and is exceptionally well-known for chimpanzee tracking. You will be required to take prior permission form the Uganda Wildlife Authority as they permit a limited number of people in the morning and afternoon sessions. Adventures in East Africa aren’t limited to the extreme and physically taxing. 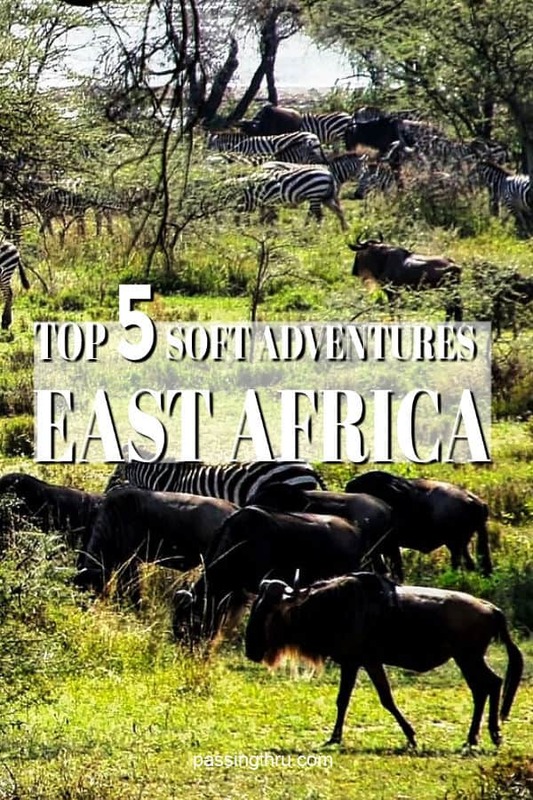 Soft adventures in East Africa are a great way to become better acquainted by a fascinating and rewarding region. We love Southern Africa’s wildlife and would like to visit East Africa’s National Parks as well. 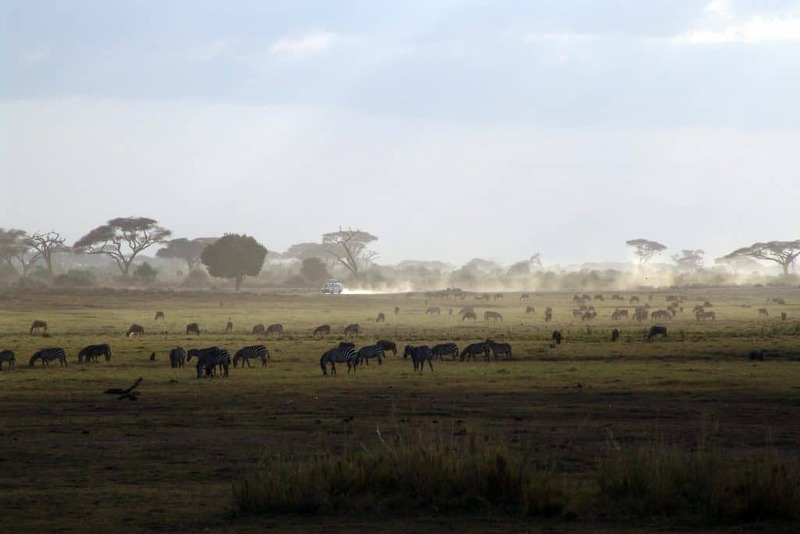 Of course, the Great Migration is on our bucket list.